Move freely, economically and safely, without the need for organized infrastructure. 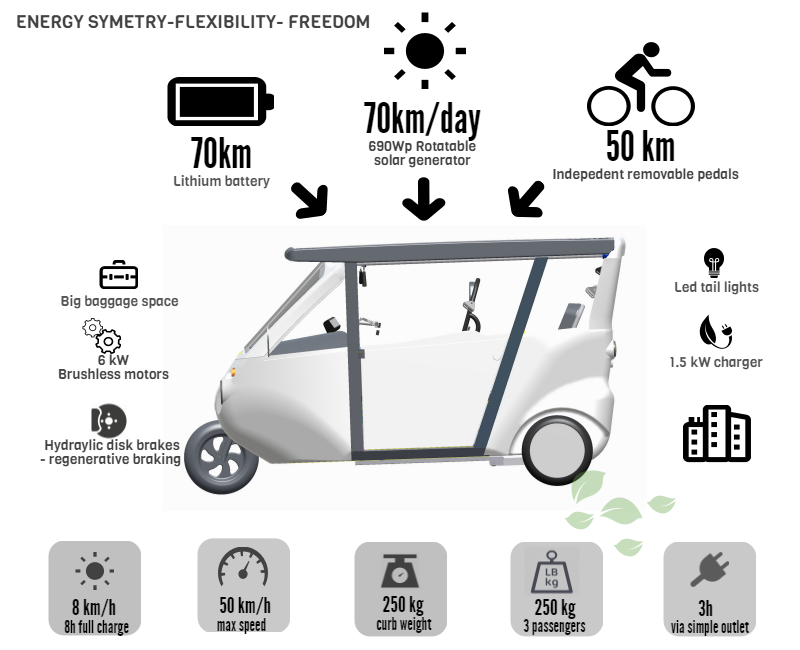 The City version with a 540W photovoltaic generator can provide an average of 35 free kilometers per day, that are sufficient for the daily commute in the city. Very easy to drive and park, spacious, it is a carefree vehicle that requires minimum maintenance and rarely needs to be pluged in. Sunnyclist traveler with a 680Wp photovoltaic generator offers an annual solar share of 18000Km. 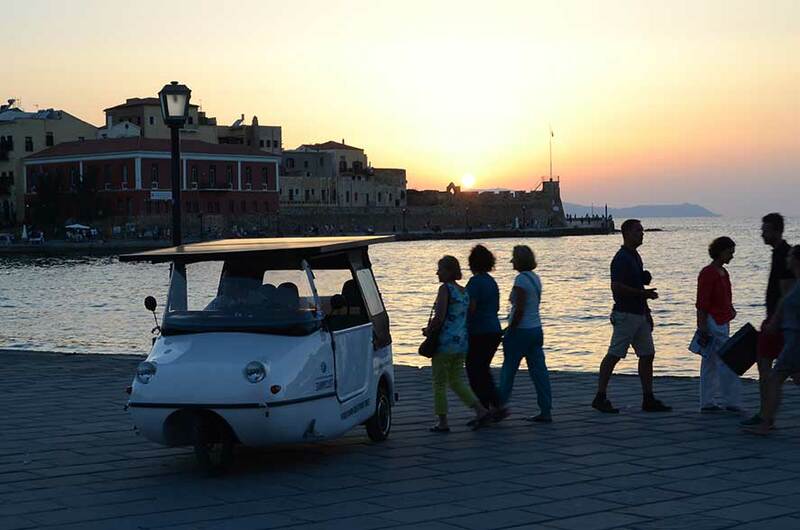 Equipped with pedals for each passenger, an energy analyzer and a 100Ah 48V lithium battery, it can travel up to 190km on a sunny day without the need to get charged. The Sunnyclist can be the ultimate recreational vehicle, used for vacation, sightseeing tours and exploring nature. 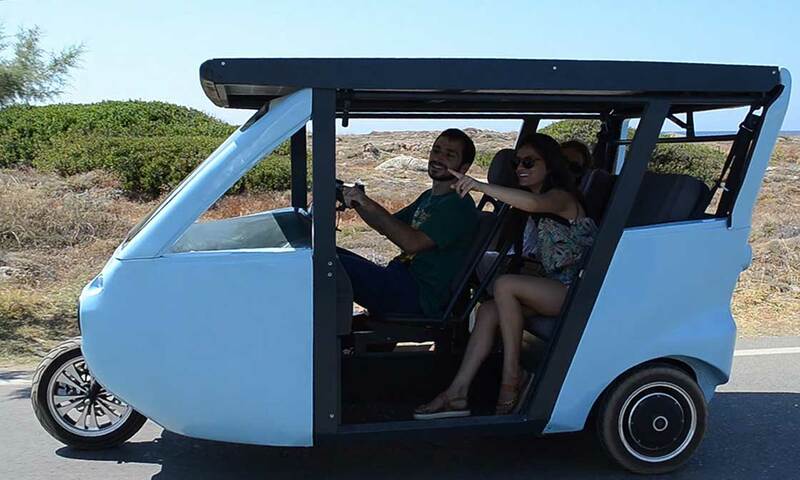 The hotel Version is an economical solution that can create the new model in tourist transport for the new era of sustainable and viable tourism. It is intended for transport of visitors, staff and cargo on private roads in hotels, golf yards, large indoor facilities, showrooms etc. 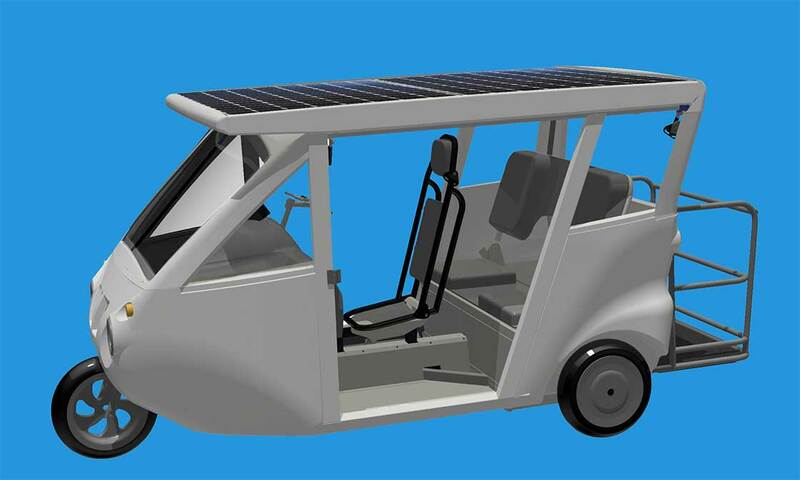 Our product can carry you and your family or friends producing totally green energy, in an enjoyable way, around your everyday commuting needs. Solar energy provides up to 35km a day, as an annual average and 70km on a sunny day. The Sunnyclist is perfect for your daily commuting needs, in and around the city. You can feel the unique sense of a perpetual vehicle! Unlike other vehicles, that are parked, passively, 90% of the time, the Sunnyclist exploits this time of immobility, to charge the batteries. 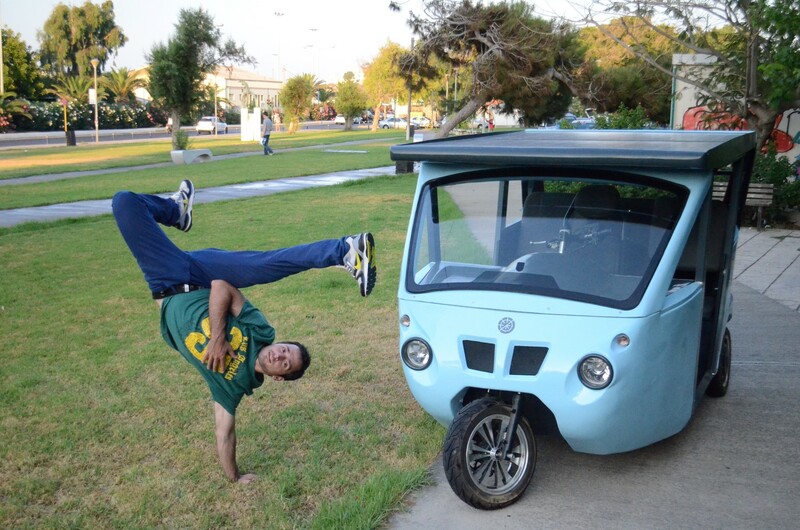 The Sunnyclist operates with absolutely zero emissions, as it uses clean and renewable energy sources. Unlike other electric vehicles which consume electricity that has a negative impact on the environment. 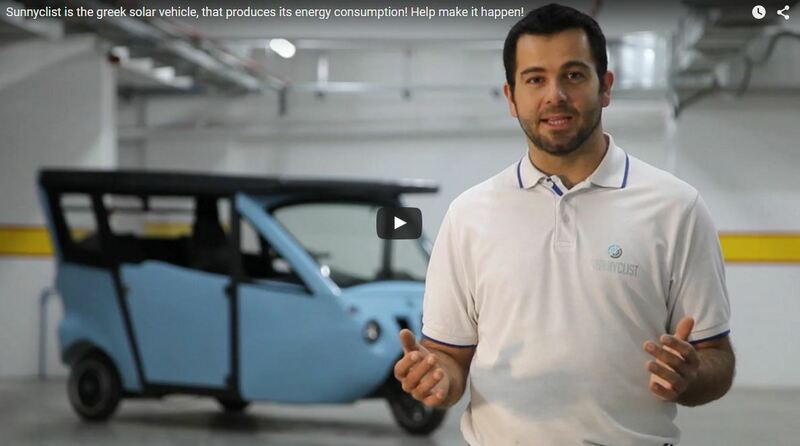 For most places globally, the Sunnyclist can offer more than 18000km per year through solar energy means, a saving of more than 2 tonnes of CO2, that would be emitted from a small city car. Enjoy great distances while maintaining the advantages of the small battery, such as low cost, short recharge time, and light weight. Travel further with the extended driving range, that exceeds the battery capacity. 70kms by solar in tandem with another 70 stored in the battery, plus 50kms via pedaling, provide a total driving range of up to 190km. on a sunny day. Go to work fresh, with relaxed exercise and return home with a intense workout. Workout at the level you wish. With the Sunnyclist, your workout benefits you as well as the enviroment. The effort is independent of the vehicle’s movement , which will capture as much energy as you offer and will use it when needed. Cycle protected from hazards and weather conditions, with a steady, constant, cadence, either downhill or when the vehicle is braked or stopped. You can also take the portable pedals home, to continue the workout, simultaneously electrifying appliances. Three-seater with functional storage space, can carry you, friends, family or your company employees. By folding or removing the rear seats, it can carry a cargo of up to 250kg. As a powerful mobile power station it can power electrical appliances such as a refrigerator, tv etc. Small, lightweight, silent and agile. Without charging procedures and organized infrastructure commitments. However, if you exhaust the possibilities of the solar generator, you can charge it from a simple household outlet in less than three hours. The Sunnyclist is equipped with three-point seatbelts for all passengers. 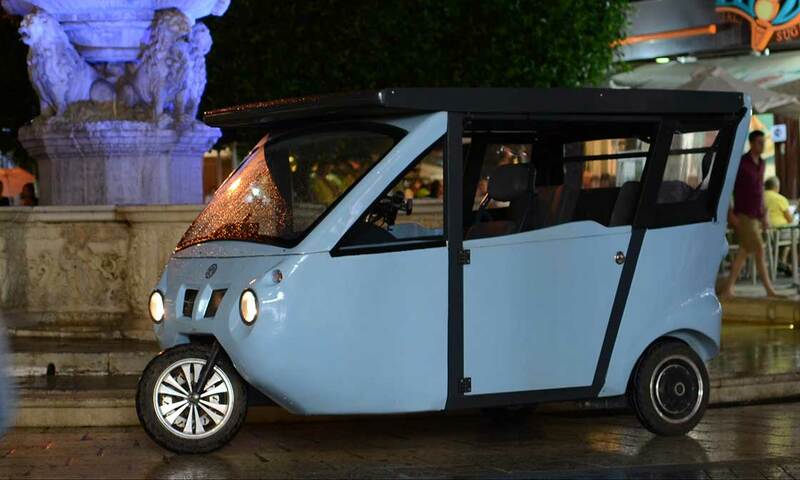 Designed in compliance with European regulations, the street legal version will be conformant with the 168/2013 directive, on the approval of three-wheel vehicles and quadricycles. The Sunnyclist will feature smart phone connectivity. We’re developing many exciting features to gather all the information you need to have everything under control. All vehicle’s power is provided by two rear wheels with integrated motors (BLDC hub motors). This provides strong torque and smooth cornering without differential and any moving parts. Lack of drive elements there is nothing that spoils or needs lubrication, cooling and maintenance while saving space and maintain a low center of gravity. Working for an uncompromised design! We are working on an uncompromised state-of-the-art design for the final production vehicle, which is going to be based on the existing thoroughly tested chassis. We keep working on further development in terms of optimal engineering and design aesthetics and human factors, a process that will be finalized before final production and will be incorporated into the final vehicles to be delivered. 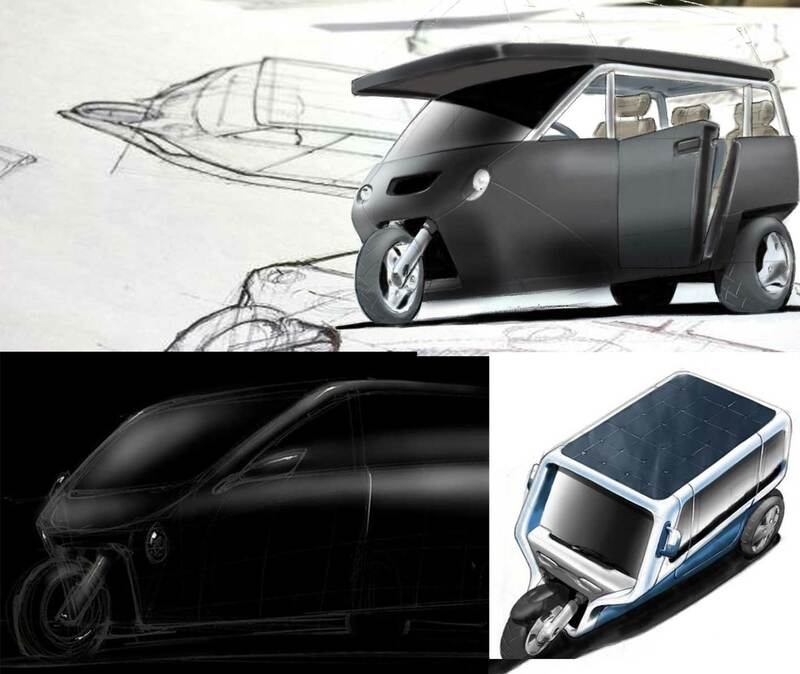 One of the big challenges we are facing while designing Sunnyclist, is to harmonically incorporate the large solar roof to a light vehicle body underneath. We decided to keep the photovoltaic area as large as possible for maximum efficiency and range and this is also the main reason for choosing a flat solar panel surface. We deliberately created Sunnyclist to be a three wheeler for lower friction, weight, complexity and cost. The diligence of the exterior design has been done by Alexandros Didaskalou and Designlab company. We work tirelessly to make our world a little better. We are inspired by the environment, nature, sun, man. We think practical and functional solutions out of box, people-oriented, focusing on environmental and economic sustainability. 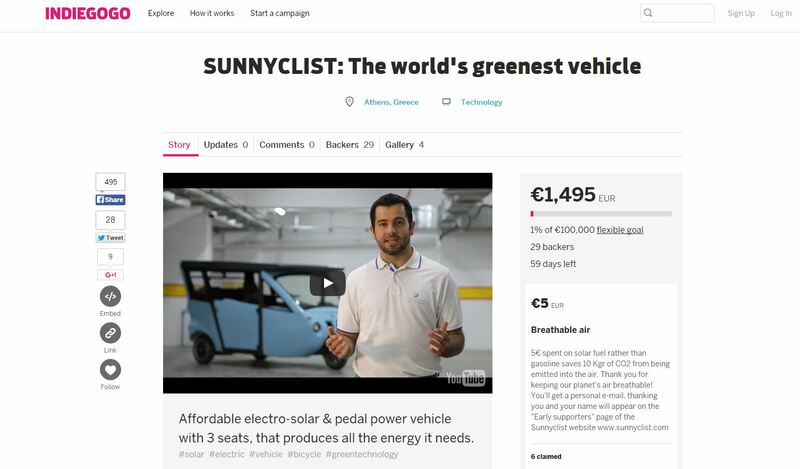 Hey Buddy!, I found this information for you: "Sunnyclist the greenest vehicle". Here is the website link: http://sunnyclist.com/. Thank you.